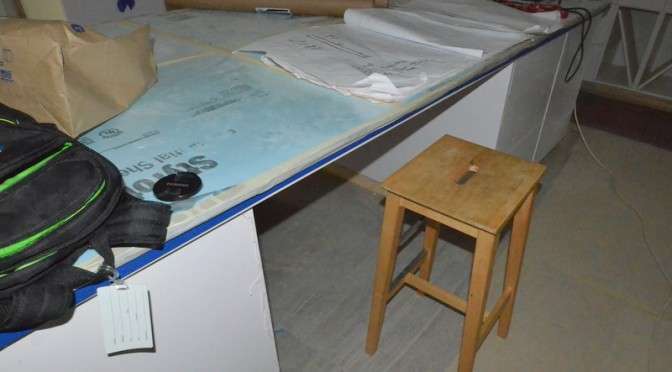 Above — Steven carried one of the kitchen stools to Emerald Hill for a test fitting under the island. It works. But he may need to trim an inch or two off the height of each leg to create more clearance. 14 passage locksets, Schlage F10 V LAT 619 CEN, ordered online via Amazon at $28.63 per set vs $34.98 from Home Depot or $39.97 from Lowe’s. 3 deadbolts, Schlage B60 N 619 CEN at $31.80 from Amazon, vs $35.80 at Home Depot or $35.97 at Lowe’s. 1 entry set, Schlage F60 V CEN 619 LAT, $126.65 from Amazon vs $157 at Lowe’s and apparently not sold by Home Depot. 1 Ring wi-fi enabled doorbell. 1 Rainmachine HD-12 “smart” sprinkler controller that connects to NOAA weather forecasts, promising to cut water use when watering the lawn. 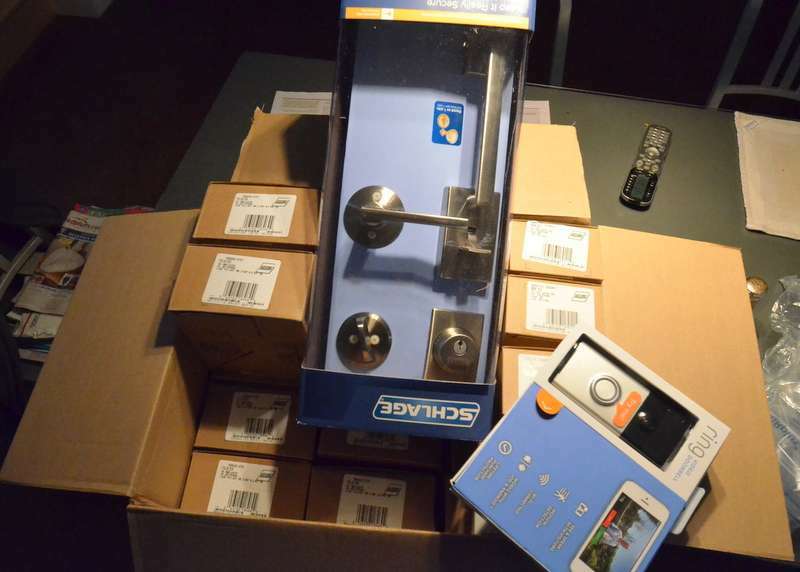 Still on order — privacy and dummy door handles, and the “smart” lock for the front door. Steven observes: Ordering from Amazon is saving multiple hundreds of dollars on lock sets, door handles, deadbolts, smart devices. 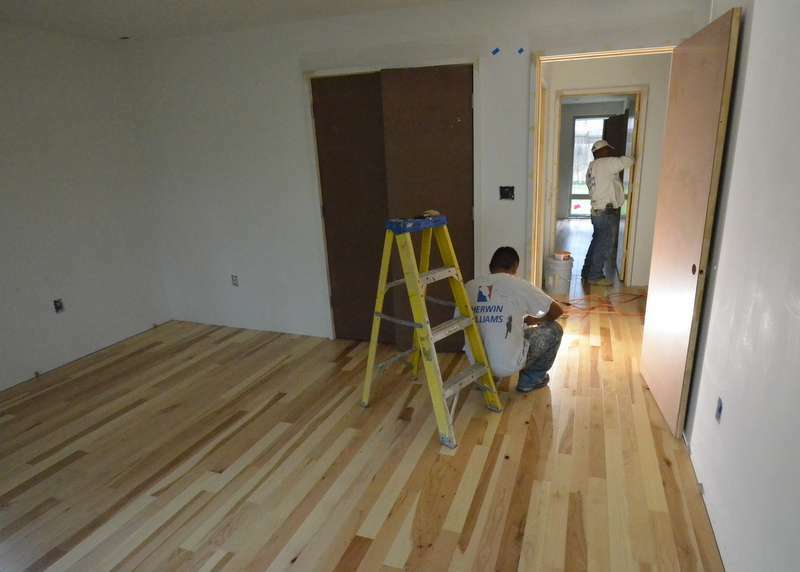 It may be the Friday after Thanksgiving, but two of the painters are working inside the house, filling nail holes with wood putty, then sanding. 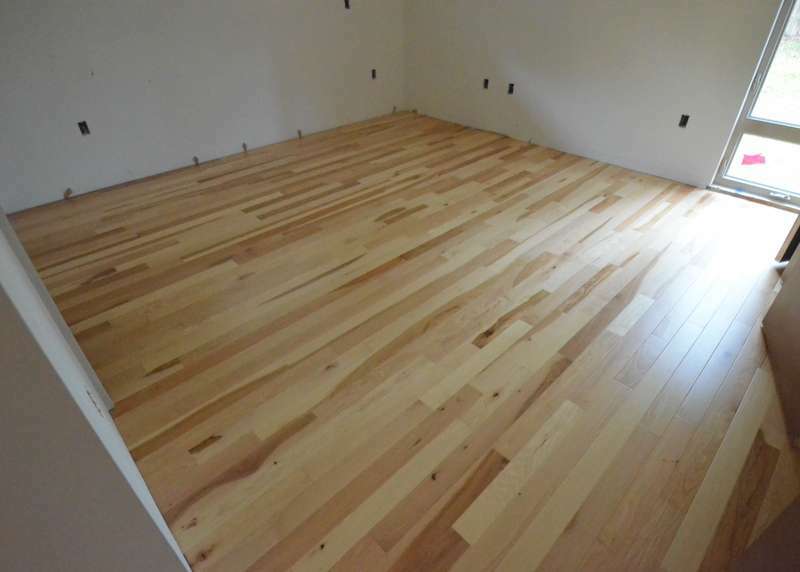 The hickory floor is finished in what will be Jadin’s bedroom.